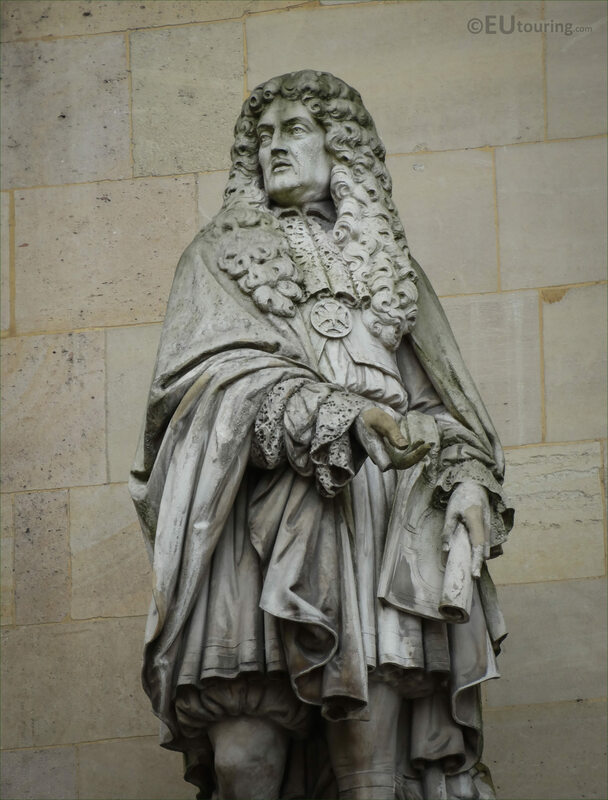 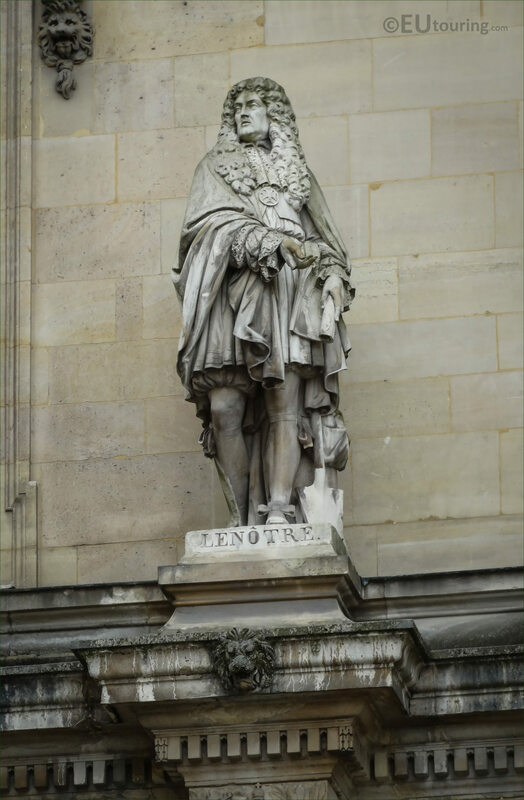 There are hundreds of different statues on the Palais du Louvre, and many of these depict famous people throughout the history of Paris and France, and these high definition photos show one of the statues dedicated to Le Notre. Now this particular statue of Le Notre can be found within the Cour Napoleon courtyard on the facade of the Rotonde d'Apollon, and it is located on the first level, second from the left as you are looking at this particular section of The Louvre, which is located in the 1st Arrondissement of Paris. 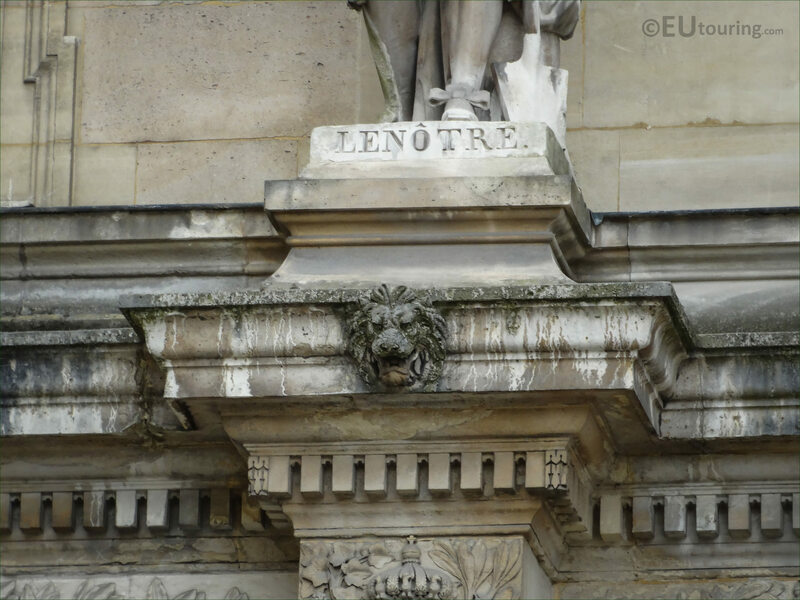 So in this photo you can see the detailing and craftsmanship that went into producing this statue, which was by the French sculptor Jean Auguste Barre, who was born in the September of 1811 in Paris passing away in the same city in 1896, although he is most well known for his medallions and portrait sculptures. 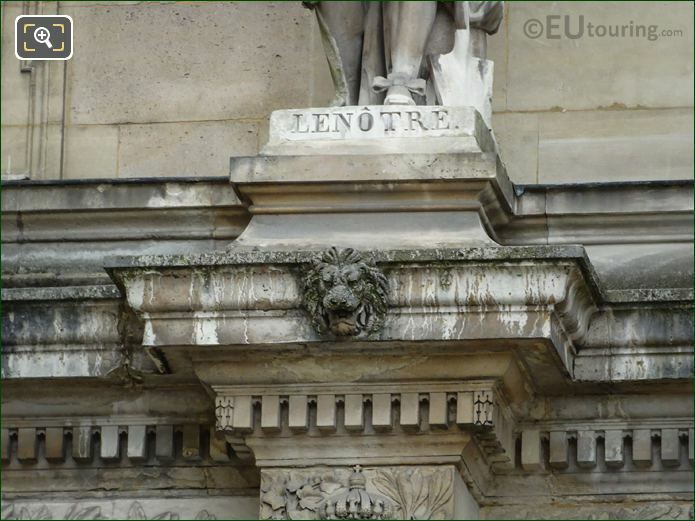 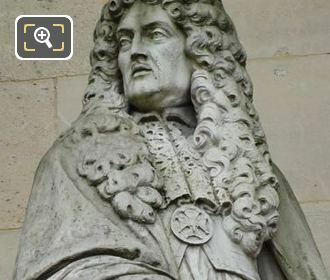 And this last image shows a close up of the plaque at the base of the statue that depicts Andre Le Notre who was born in 1613 to a family of gardeners and went on to become the famous landscape architect and the garden designer for numerous chateaux and castles including Versailles, Chantilly, Vaux le Vicomte and the Tuileries.